One of the last things we did on our vacation to the Smokies is to go thru Cades Cove. We drove the loop, had a picnic lunch, took some pics, walked some trails, and yes, saw a bear. 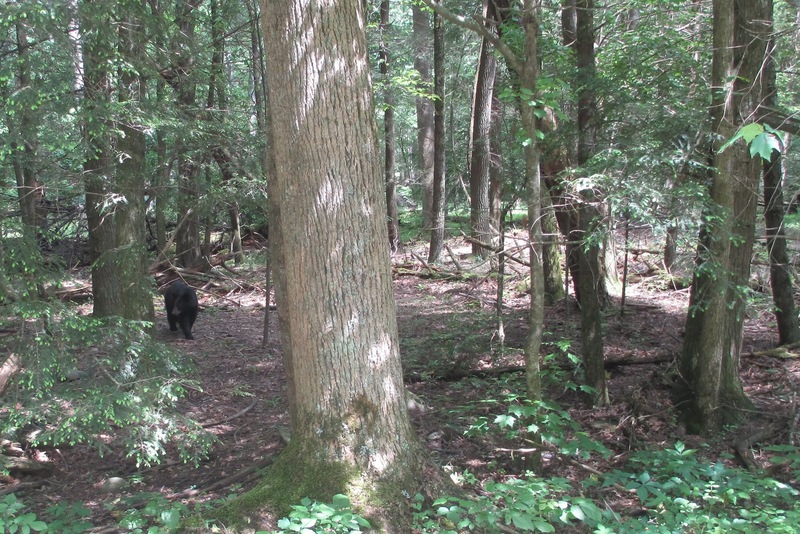 Not uncommon for Cades Cove, as it is one of the most popular places for wildlife viewing in the Mountains. As a child, we often camped near Cades Cove, and did the loop at least once per day while on vacation. I've been thru that thing hundreds of times. Okay, maybe not hundreds, but we might be getting close. So when we saw the cars stopped, and lined up, we knew there was probably a bear up ahead. Or maybe a deer, because occasionally you do get people who apparently have no deer where they're from, and get really excited about a deer. And then we saw the people out of their cars. Maybe 20 of them, standing around, looking into the woods. We still weren't close enough to see, but I started noticing that none of them were pointing, and they seemed to be looking at something fairly close. And then I saw the man and his son walk into the woods, and begin pointing at it from the other side. Because it's really smart to cut off a large predator like a bear from all angles, with nothing to protect you. Like, brilliant. And then we see it. And it's very clear that the bear wants to cross the road. And it's also very clear that the line of people watching him is in his way. So Mr. Bear begins walking farther down the line of cars, to where there are no people blocking the road. As in, by our car. And it stops, and I swear it's looking right at us. And I realize, it's gonna come. "Roll up Jena's window! Roll up Jena's window! Roll up Jena's window!" Jason had just gotten her window rolled up, and was starting on ours, when it came. 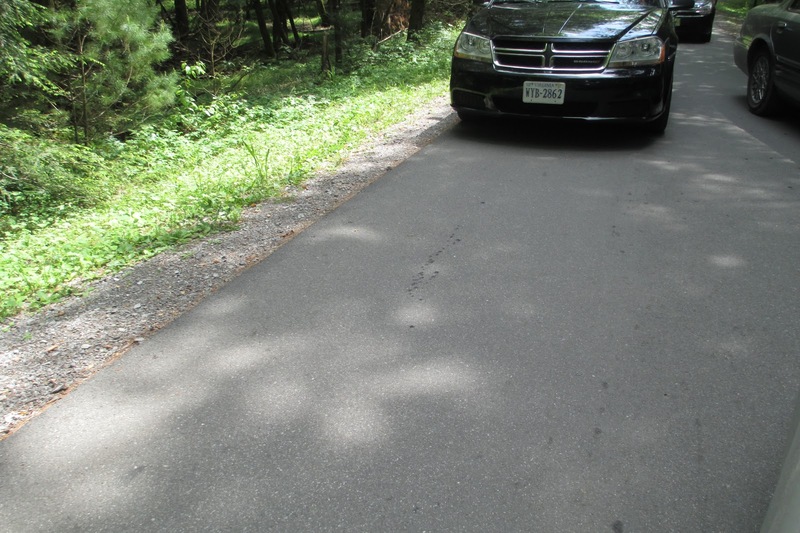 It ran right behind our car into the woods on the other side. The picture above? That's the spot the bear ran across the road taken from the front passenger seat of our car. No zoom or cropping. I was hoping to snap a shot, but he was too fast. So here's a pic of the blank road. Now, it may have only been a second, and we may have been in our car, but that is definitely the closest I've ever come to a wild bear. And the closest I'd ever want to. Scary- in more ways than one!